Hazel Bernice Simms, age 89, of Decatur, Georgia, passed away at 2:50 A.M. on Saturday, April 13, 2019, at her home in Decatur, Georgia, with her loving family by her side. Hazel Bernice was born on May 15, 1929, to the late Nelson and Lillie (Hess) Owens in Centralia, Illinois. She was the last living of eight children: Charlie, Johnnie, George, James, Evelyn, Opal Lee and Dorothy. She attended Centralia High School, after which she met and married Andrew Dixon, with whom two children were born: Sharon Kay and Coleen Cozette. Hazel’s second marriage was to the Reverend John Wesley Simms with whom three children were born: Margaret Johnnetta, Helen Paulette and Jina Lavette. Eldest son John, Jr., was born to the reverend from a previous marriage. Hazel was an artist, a baker, a seamstress, and later, a keypuncher; above all she mostly enjoyed her role as a foster grandparent. Hazel and her husband lived in Canton, Mississippi (the Simms homestead); Clio, South Carolina; Fayette, Alabama; Conover, North Carolina; and Jamestown, New York, where the family settled in 1965. An avid reader and prolific writer, Hazel published several poems, some with the Centralia Sentinel, and, one was set to music entitled “An Icy Walk”. In fact, she produced over 100 poems and numerous short stories. She wrote her life story in a book entitled “Glance Back Look Ahead,” chronicling her life and love of travel which included much of the United States, the Philippines, Morocco, England, France, Holland, Israel, Jordan and Egypt. She later traveled to Zimbabwe, Senegal, Ivory Coast, Ghana, Greece, Italy, the West Indies, and South Africa. Following her husband’s death in 1981, Hazel moved back to the Owens’ family homestead in Centralia, where she was the care-provider for her mother Lillie Owens. In 2004, Hazel relocated to Decatur, Georgia where she resided with daughter Coleen and family until her death. In addition to her parents, Hazel was preceded in death by her husband John Wesley Simms; her eldest daughter Sharon Kay Dixon Dewberry, and one of her nephews, Germane Kevin Harris. In joining the ancestors, Hazel lovingly leaves behind four daughters and one son: Coleen Nelson of Decatur, Georgia, Margaret J. “M.J.” Simms-Maddox of Salisbury, North Carolina, Helen Paulette Simms of Salisbury, North Carolina, Jina L. McGriff of South Orange, New Jersey and John Simms of Fairfield Glade, Tennessee and their children: Kim, Sharmaine, Jamie, Marcus, Matthew, John Wesley Simms II, Paul Jeffrey Simms and Tamara Simms; and grandchildren Alexis, Sierra, Joshua and Millicent. 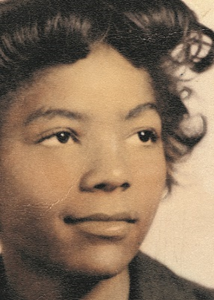 Hazel’s spiritual life began at Ricks Chapel AME Zion Church in Centralia, Illinois and it is there that we celebrate her home-going ceremony at 1:00 P.M. on Monday, April 22, 2019, with Reverend Val Powe officiating. Interment will follow in Elmwood Cemetery in Centralia, Illinois. 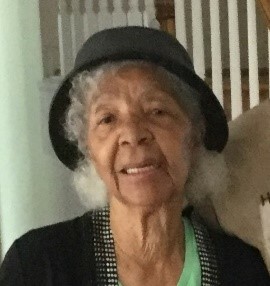 Friends may visit with Mrs. Simms’ family from 11:00 A.M. until the time of her home-going ceremony at 1:00 P.M. at the Ricks Chapel AME Zion Church. In lieu of flowers, memorial contributions may be made in Mrs. Simms’ honor to the Alzheimer’s Association and will be received by the Moran Queen-Boggs Funeral Home in Centralia, Illinois. Please view the online obituary, send condolences or share memories with Mrs. Simms’ family at www.moranfuneralhome.net or on the funeral home’s Facebook page.